Hazem Rabei is a 40-year old Businessman, working in the fields of jewelry and silver. 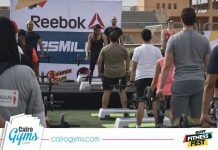 Hazem played sports a lot as a kid, football, tennis, swimming, and gym. 3 and a half years ago, his knee was injured in a football game. Believe it or not, that is what pushed him to get into running. 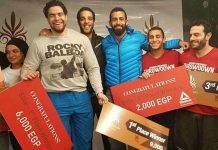 After his injury, Hazem was directed to physical therapy and was then asked to run if he ever wanted to play football again. He started running only to find that he actually loves it. He simply got addicted to it. 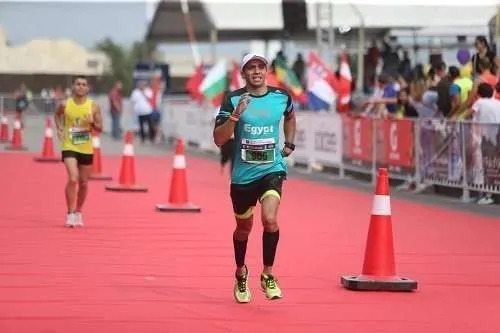 After his first 3 and a half month of running, he ran a 42 KM marathon. 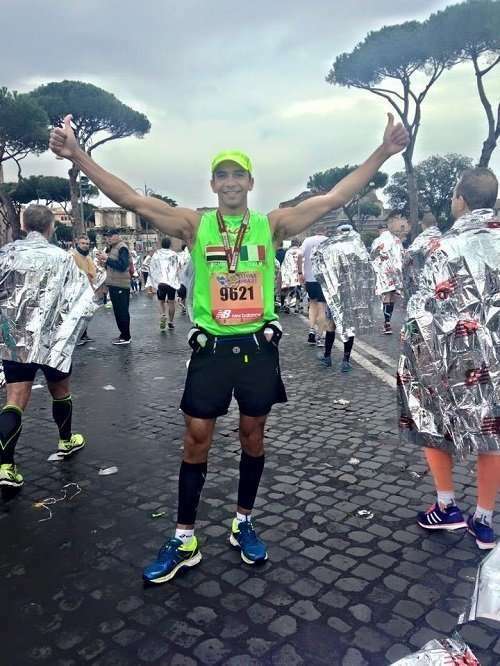 Two more months and he was in Rome for his first international marathon. It is true what they say, you can absolutely accomplish anything you put your mind to. Later on, he ran more and more international races all over the world; Paris, Beruit, Dubai, Tunisia, Istanbul, and Kuala Lumpur. He also ran for causes in China, USA, Spain, and KSA. 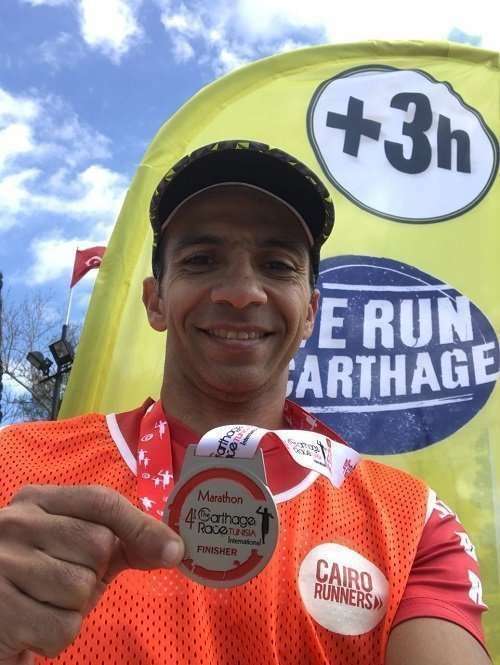 Hazem also ran across Egypt with Cairo Runners, Alex Runners, Ismailia Runners, Mansoura Runners, and more. He helped raise millions of pounds to charities, which is something that he is very proud of. 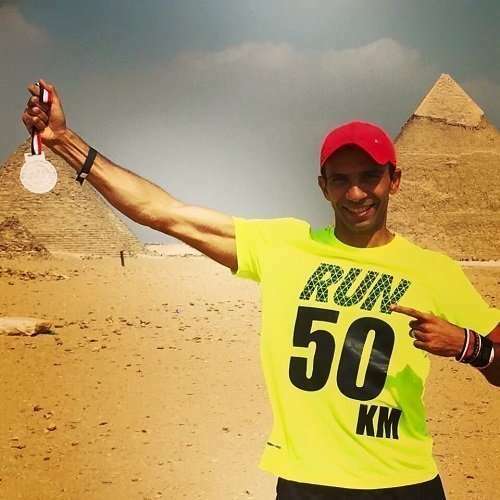 On his first anniversary as a runner, Hazem ran his first Ultra Marathon, 50 km nonstop. 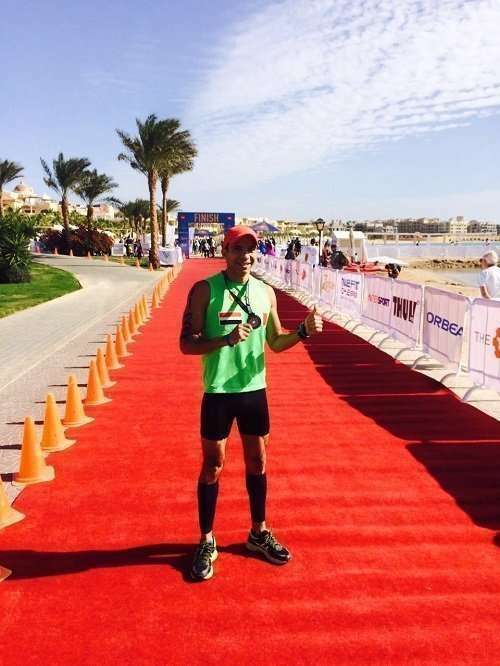 Hazem won the title ‘Ironman 70.3′. 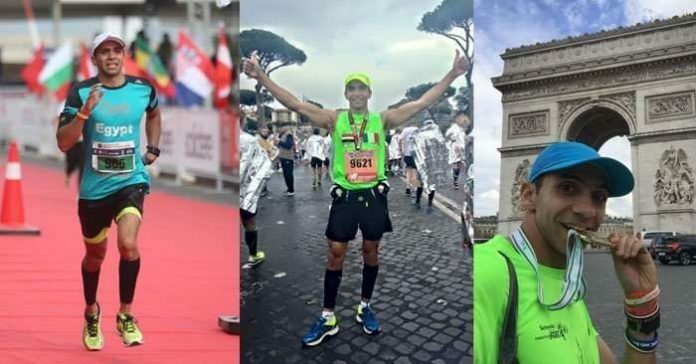 He has over 50 medals in running, triathlon, aquathlon, duathlon, and pentathlon. On the personal level. Rabei is a husband and a father to three beautiful humans. 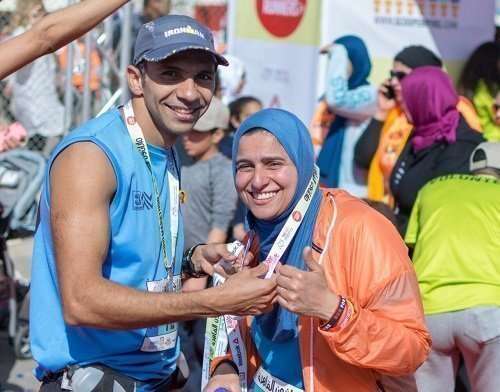 Hazem trained his wife and she was able to run 2 half marathons. 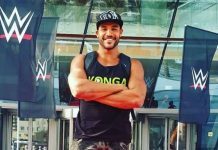 Besides running, his kids also play football and swim. ‘What do you wish to accomplish?’, we asked. 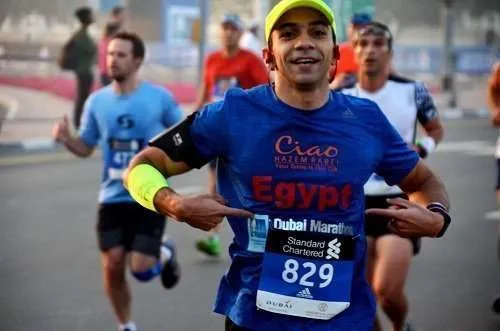 My goals in life are to raise the Egyptian flag around the world, motivate others to play sports, and improve my overall mental and physical health with sports.